Digital technology has completely re-written the rules for entire industries, business functions and workplace roles – perhaps none more so than sales. It has redefined what it means to lead a modern sales force, dictating everything from how a leader plans his/her overall sales model to how field workers map their day-to-day activities. Digital’s impact on sales is perhaps best explained when you consider the challenges unique to the profession. According to the Accenture, 2014 Sales Performance Optimization Benchmark (CSO Insights) report, chief sales officers expect an average 19 percent annual turnover of their salesforce, coupled with the fact that 80 percent believe it takes more than six months for a new sales rep to be fully productive. As a sales leader, I stay up at night trying to figure out how the proliferation of information that makes it into our sellers’ hands every single day – emails, search results, internal websites, marketing programs, social media, training sites, the Internet and other mediums – can be digested effectively without information overload. I, too, can get overwhelmed at times at the need to keep a keen eye on managing and growing the sales pipeline, while simultaneously ensuring the sales force is focused squarely on opportunities where the selling value proposition is compelling and the probability of winning is high. An effective digital sales program starts with a digital workplace. In today’s modern sales era, it is essential to be able to work quickly and securely without being encumbered by time and place. 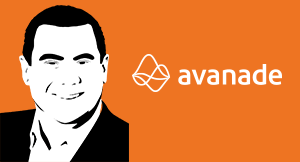 Yet, Avanade’s own research has shown that only 25 percent of companies can access most of their organization’s software seamlessly outside of a physical office location. Another study shows that 42 percent of mid-level managers spend one to two hours a day looking for information to do their job. Sales effectiveness is all about creating a consistent, predictable and agile approach to the selling process while ensuring sufficient rigor and discipline are in place to achieve repeatable and sustainable results. Without all of these areas working synergistically, sales effectiveness and time to success is greatly hindered. Sales leaders can maximize results by equipping team members with the adequate tools that capture data and cascade it into other systems. This eliminates laborious data entry and duplication – freeing the sales force to spend more time in front of clients and prospects, helping solve their business challenges. Data management and intelligent context will increasingly become critical in building a consistently high performing sales force. ‘Right information at the right time at the right place and on the right device’, takes on new meaning and will make or break a sales team. Organizations that understand what software and/or services maximize employee time and efficiency, and that continually develop programs and processes that reinforce and streamline these differentiators for their sales force, will have much higher sales performance than others in their respective industries. Said another way, a digital workplace is the single biggest advancement most organizations need in order to empower a modern sales force. Consider Avanade’s work with a large beverage manufacturer. We helped the client implement an intuitive mobile sales solution that allowed sales reps to execute optimally at the point of sale. This one seemingly simple tool virtually transformed the client’s entire sales workforce from being traditional product representatives to brand ambassadors, and sales went through the roof. Start with the business outcome. 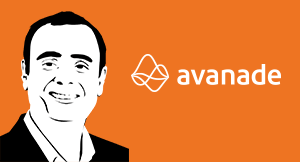 As we’ve seen through Avanade’s work with clients around the world, the most successful sales leaders are the ones who focus first on the desired business outcomes, then address the process changes and technologies that are needed to support them. Steer clear of a “one-size-fits-all” approach. Employees, like customers, have unique needs. Take the time to figure out which tools to put in the hands of which people – then assess and adopt or move on quickly. Align with other C-suite stakeholders. True enterprise-wide digital transformation cannot be led solely by business function or IT. Partner with IT and the business to determine what success looks like and how you will measure it. In order for technology to meet sales needs in 2016 and beyond, highly integrated systems that automate data capture and put information in the hands of sales people when they need it is paramount. This includes the ability to access information from any device, anywhere, at any time – because business is always on the move. There is mounting evidence that shows diversity in the workplace leads to more creativity, which ultimately means better customer and employee experiences.